Give a geometrical kilim touch to your living space by placing this gorgious handmade area rug. This is handwoven in wool and cotton material on a handloom. This handloom carpet is highly durable and 100% handwashabel carpet. 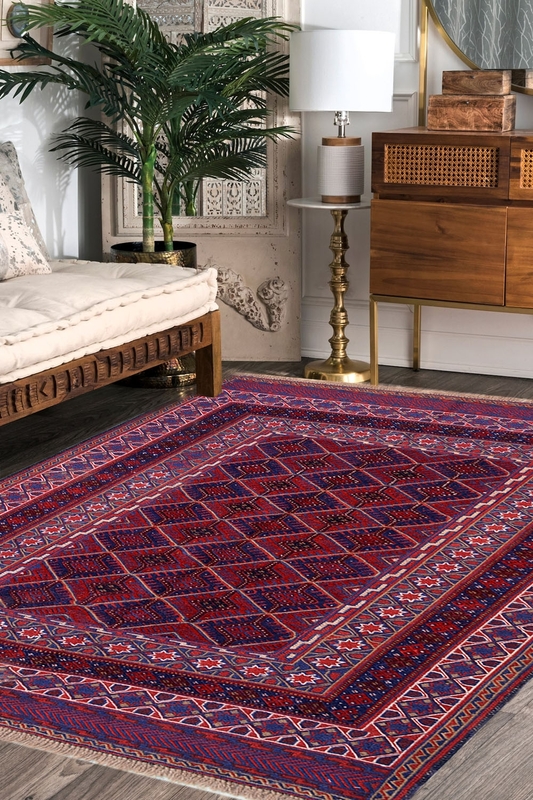 The brilliant vibrancy of colors woven in an excellent traditional kilim design makes it an essential pick to give your interiors a new and outstanding look. This carpet is the master piece of kilim carpets. This is rug is woven with finest quality of wool and cotton material. Place this carpet and get more compliments regarding your interior decoration style. - Process Duration: Approx. 8-9 months.